Not all Virginia vineyard scenery involves mountains or rolling hills. 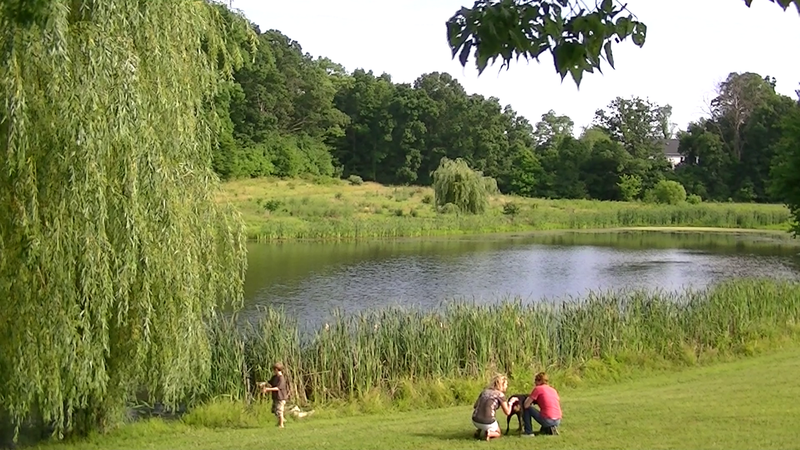 At Corcoran Vineyards, the fish stocked pond provides a sanctuary for bullfrogs, dragon flies, and many types of birds - from song birds to herons. Nothing like sipping wine and hanging out under the Willow tree. The music is provided by our pal Peyton Tochtermann - Smile. You meet the people who own the winery at this location and you instinctively love the wines. It's strange how personalities ooze into their great examples of what can be grown and produced in Virginia. Corcoran, like DuCard, DelFosse, Castle Gruen, and Fabbioli, does people like they do wines (English teachers forgive my grammar).